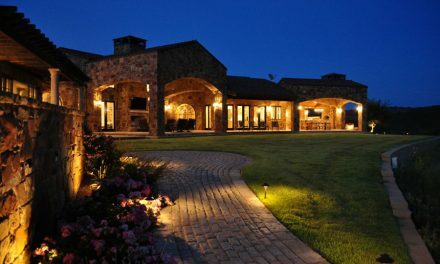 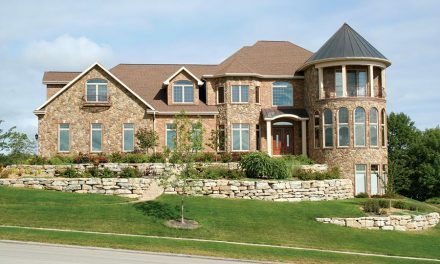 The Wallace Residence is more than a home, with 21,400 sq. 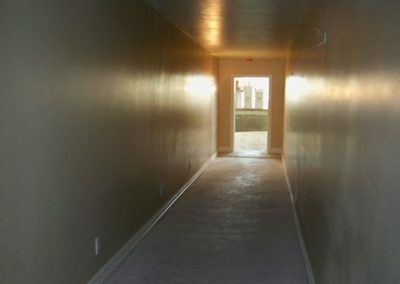 ft of living space on three stories, as well as a sports court, swimming pool, solarium and workshop. 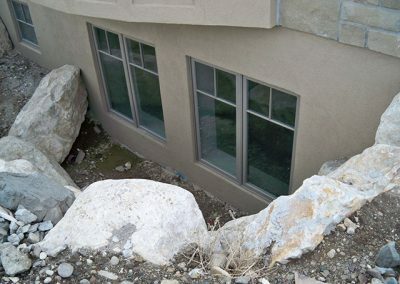 An elevator travels four stories from the attic down to the access tunnel which runs under the house out to a pool house set in the side of the canyon. At the base of the elevator you can also access a gymnasium built under the garage. 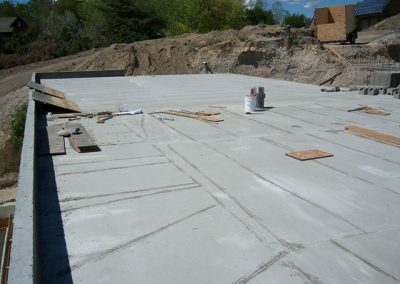 This required a significant excavation, as the ceiling of the gym—which doubles as the garage floor—is 14’ above the hardwood. 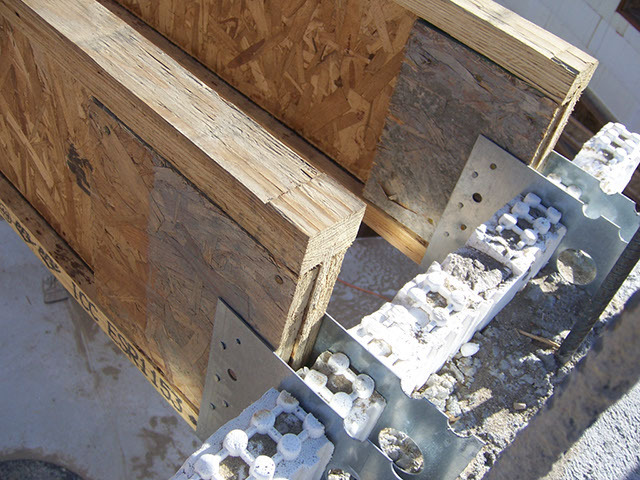 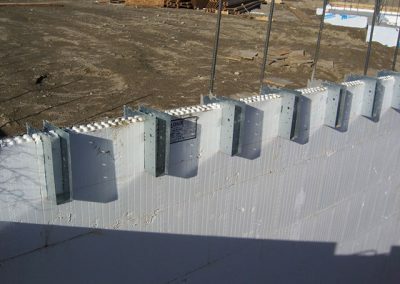 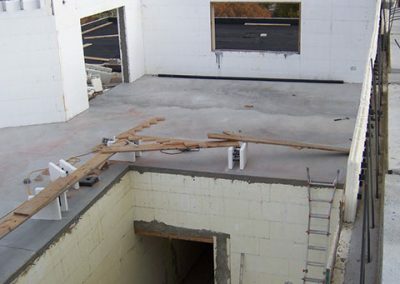 Because of the soil pressure at these depths, the engineer specified 10” core LOGIX ICFs, with two #6 horizontal and two #5 vertical rebars every 8” on center. 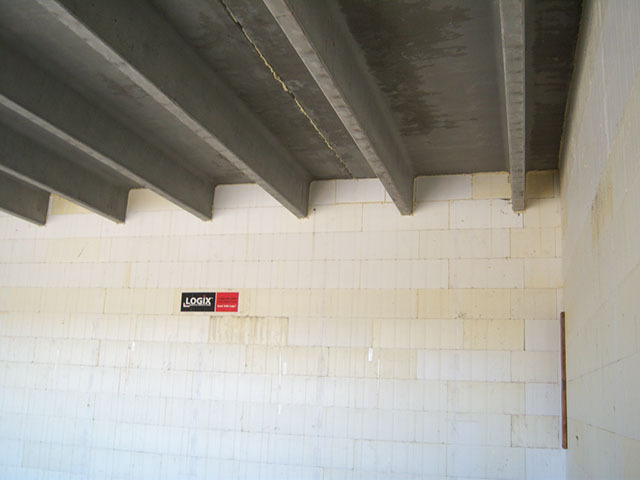 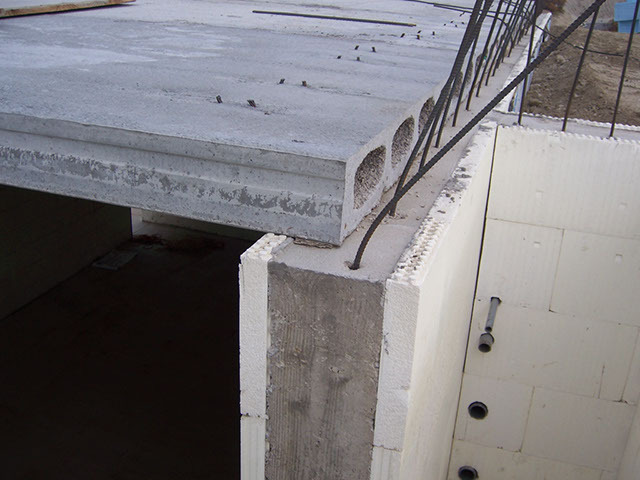 Proper concrete consolidation was a must, despite the congested rebar. 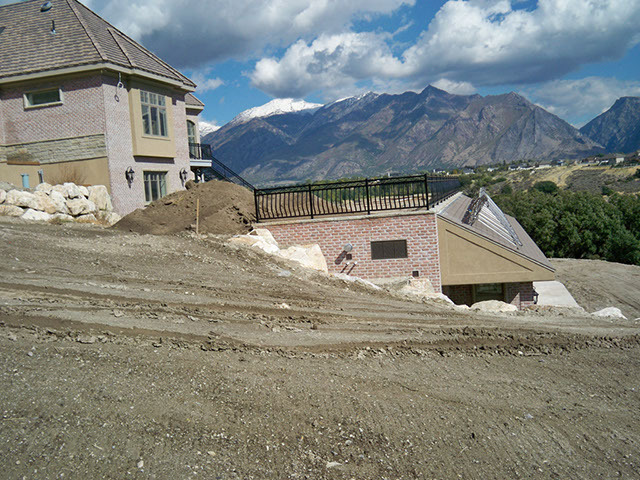 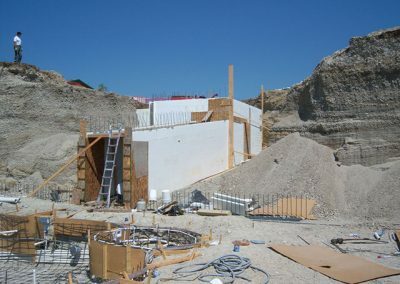 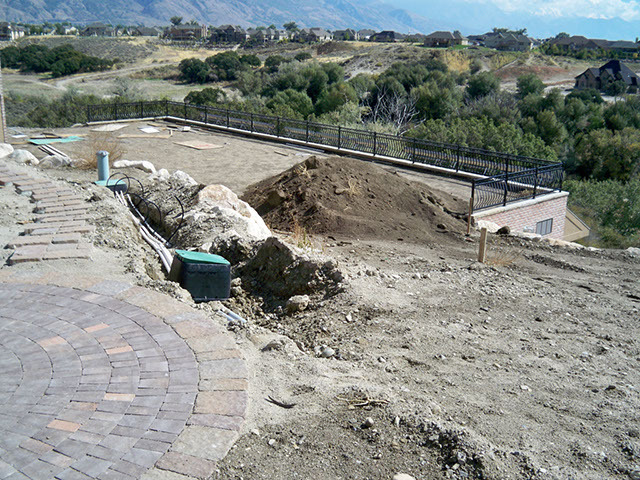 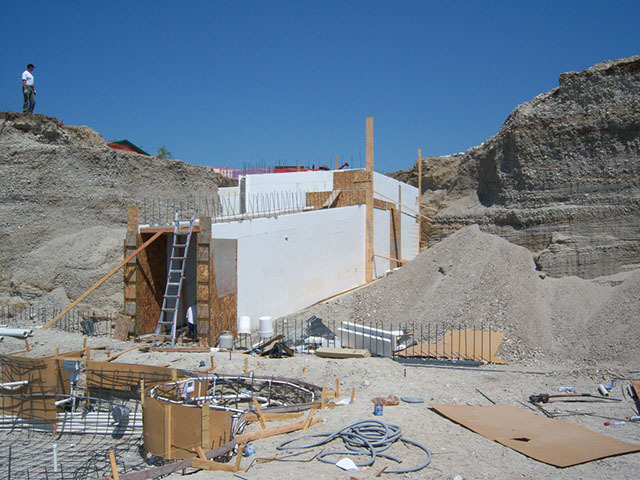 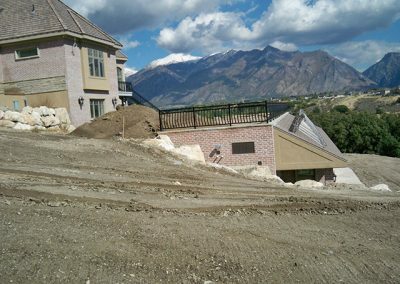 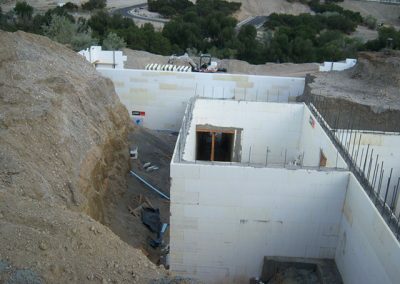 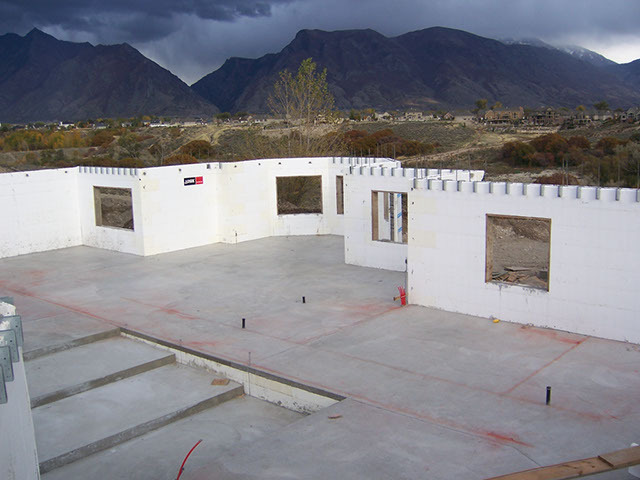 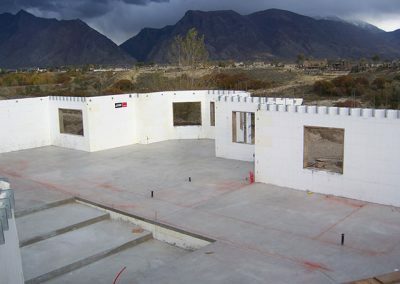 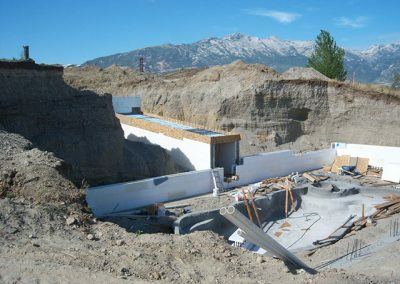 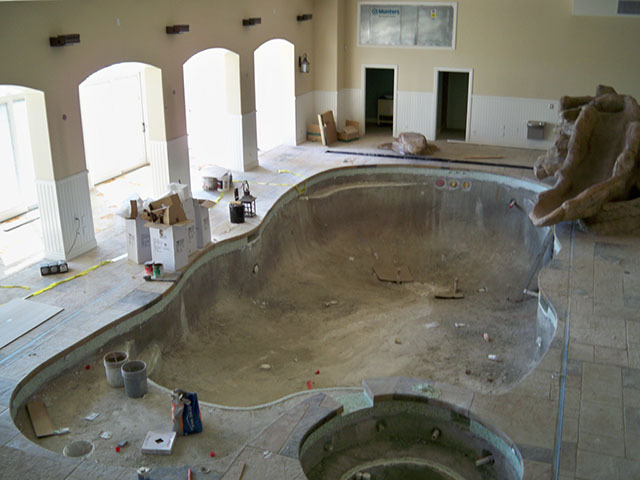 The two-man first-time installation crew finished the ICF portion of this ambitious project in only six months. 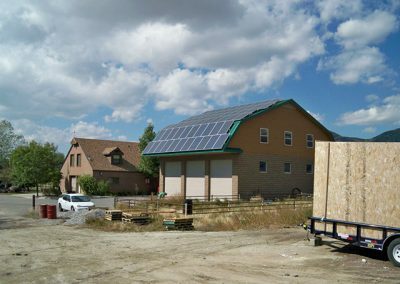 Despite its enormous size and complexity, the property is designed for net zero energy consumption. 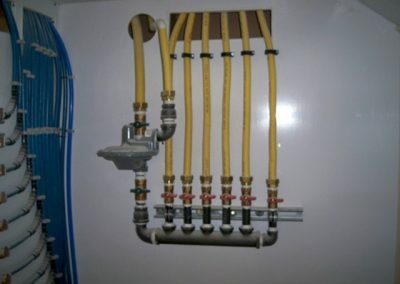 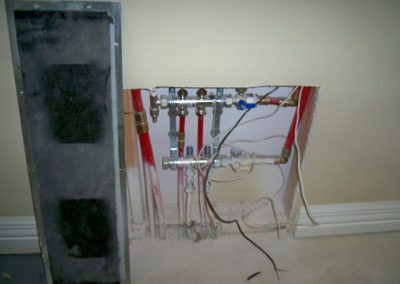 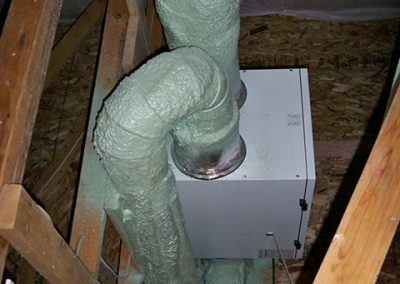 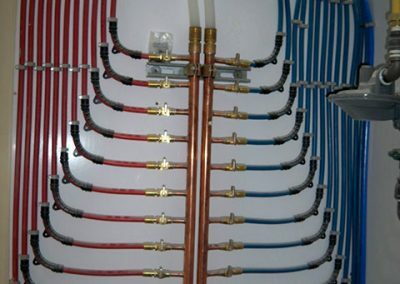 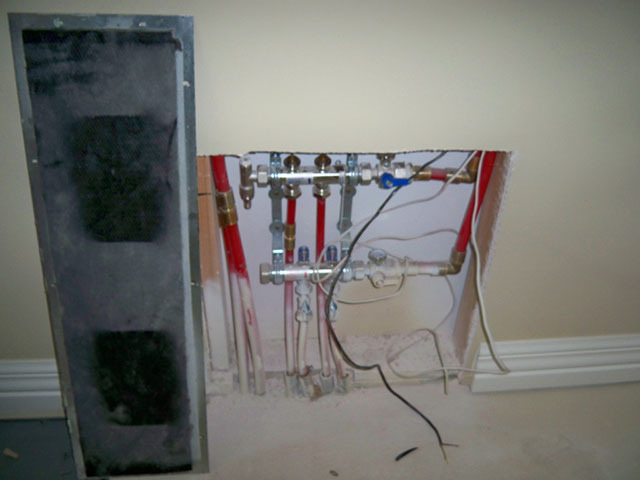 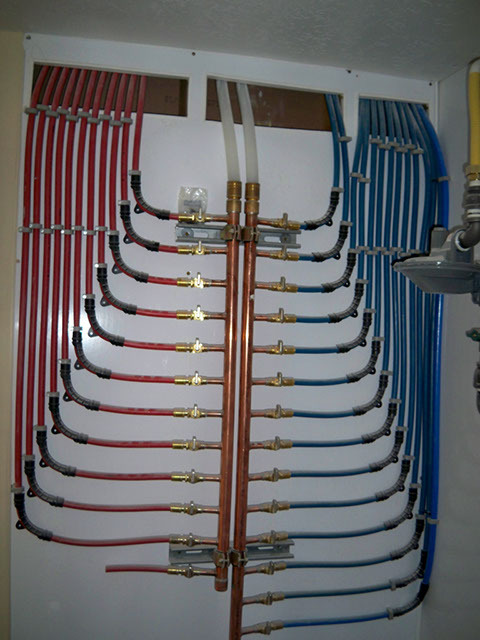 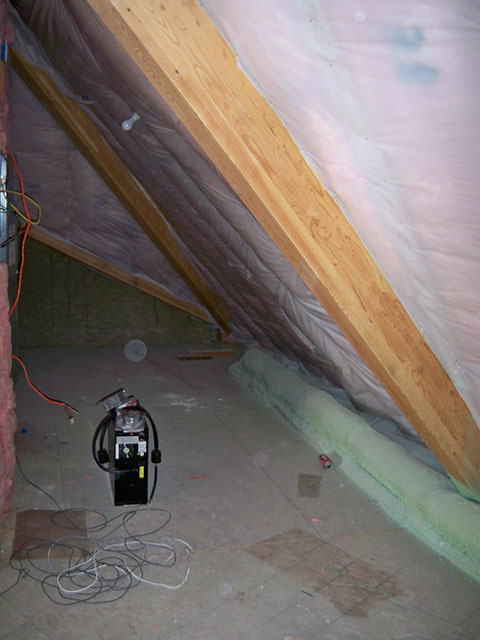 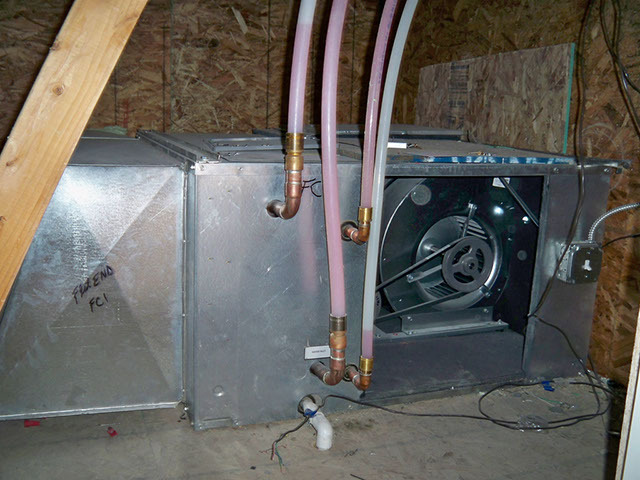 The house is connected to both natural gas and electrical utilities, although these are for back-up purposes only. 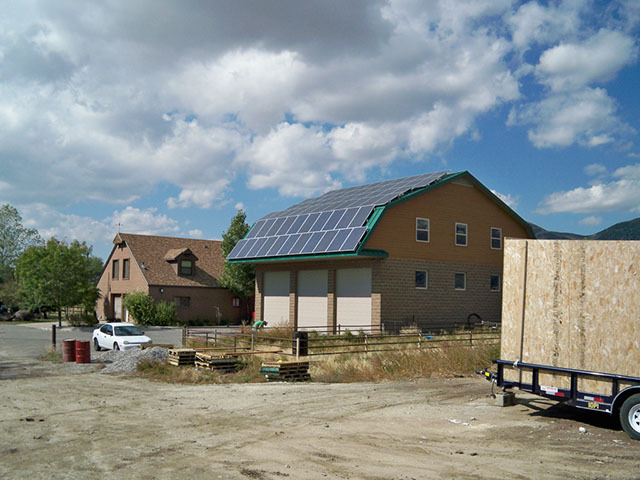 Two separate banks of photovoltaic cells generate all of the electricity needed. 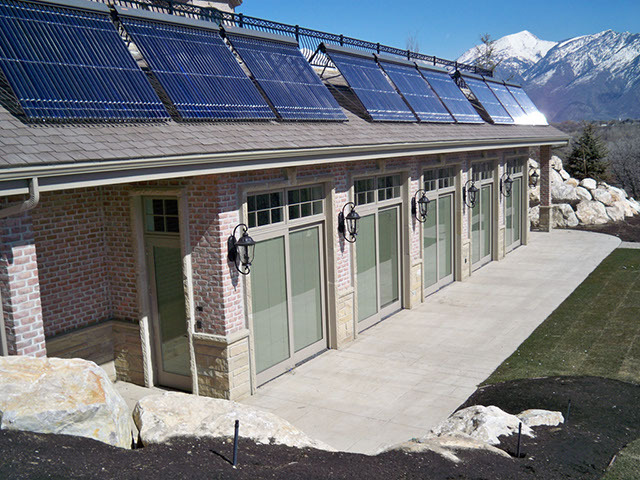 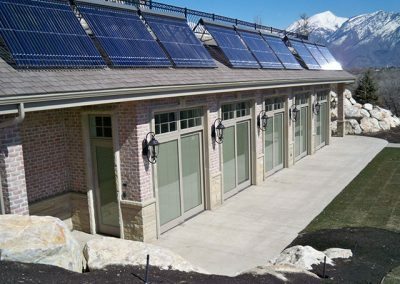 A third bank of high efficiency solar cells above the pool house are coupled to a geothermal heat-exchanger and provide hot water for the house, Jacuzzi, and pool. 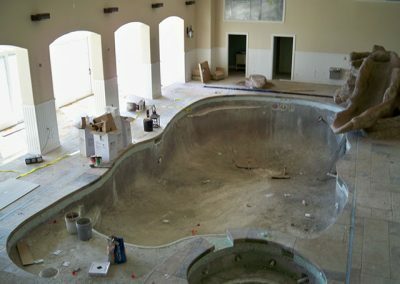 The pool room itself has earth on all three sides and over the top, leaving the southern face open as a collector for the sun’s energy. 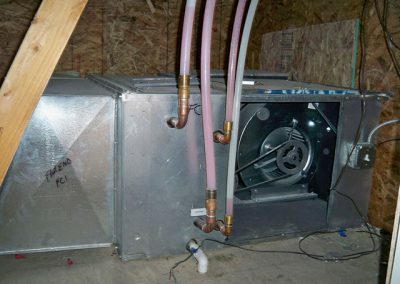 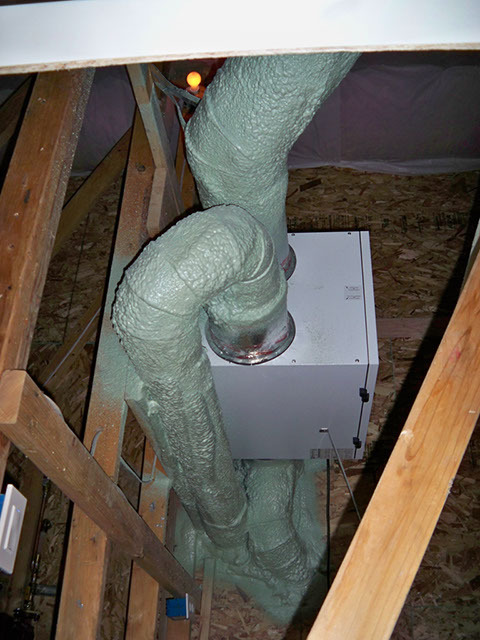 Two-foot-diameter pipes carry this warm air to the house. 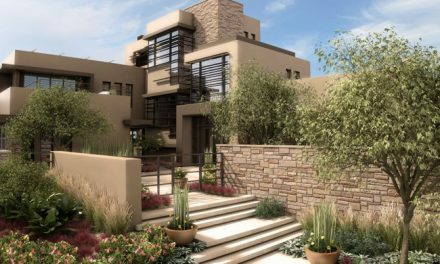 Despite such extraordinary features, the main living areas still looks and functions pretty much like any other home you would find in any neighborhood community. 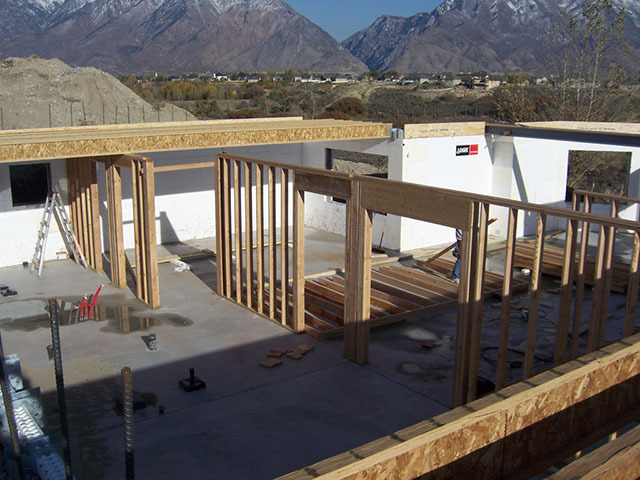 The project was featured in print and on multiple local television stations. 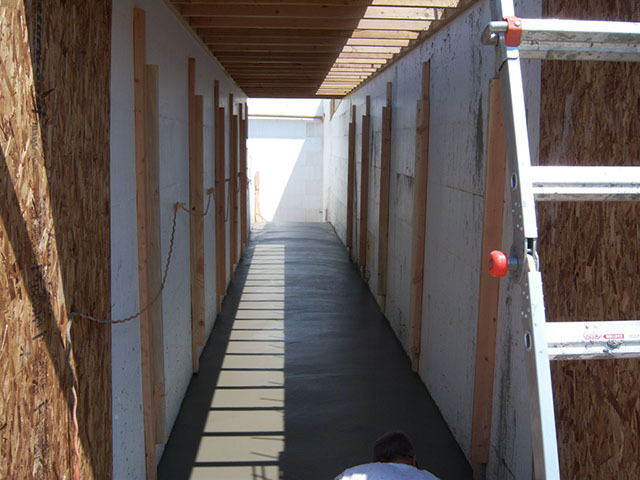 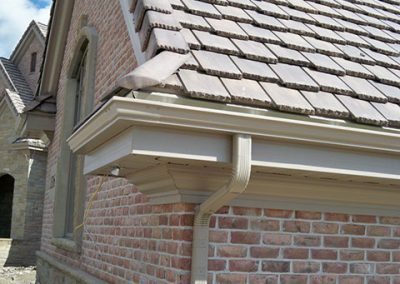 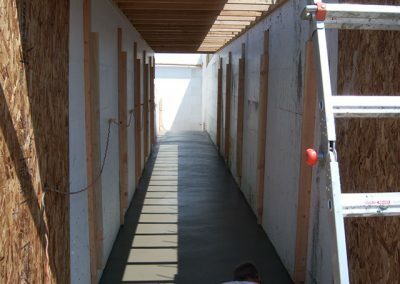 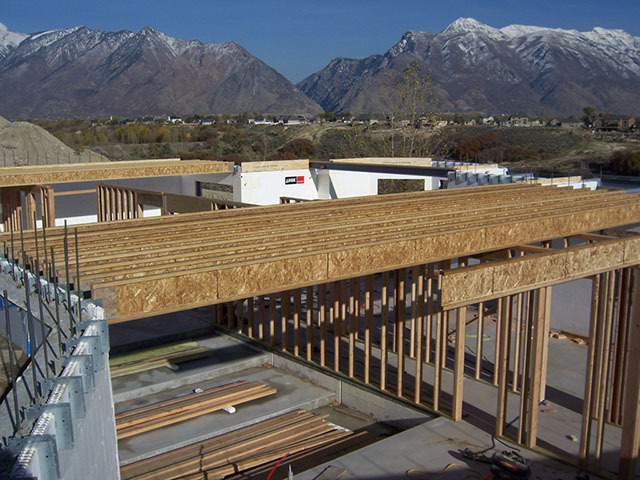 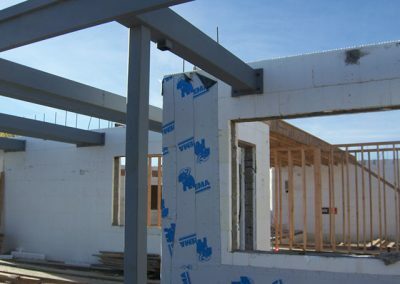 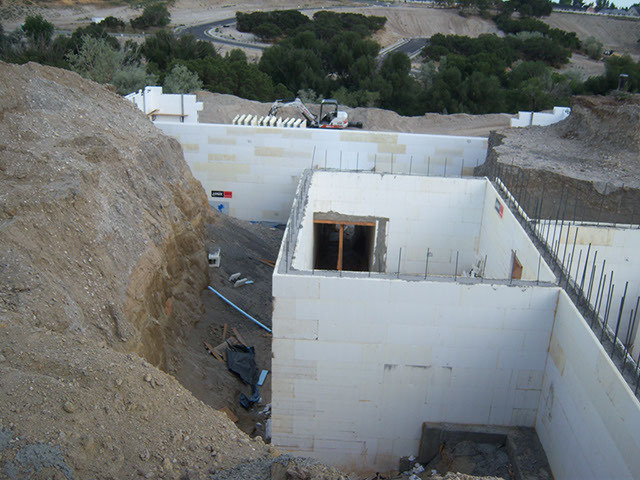 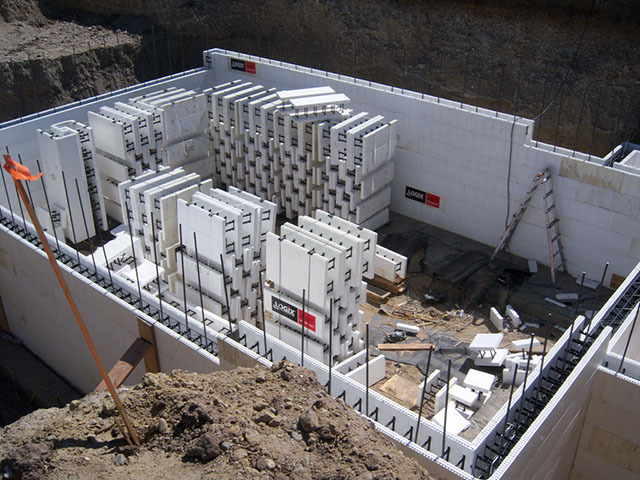 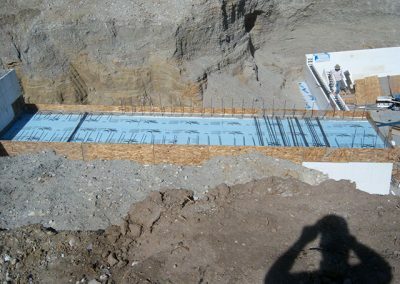 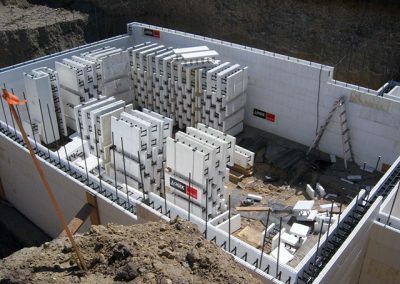 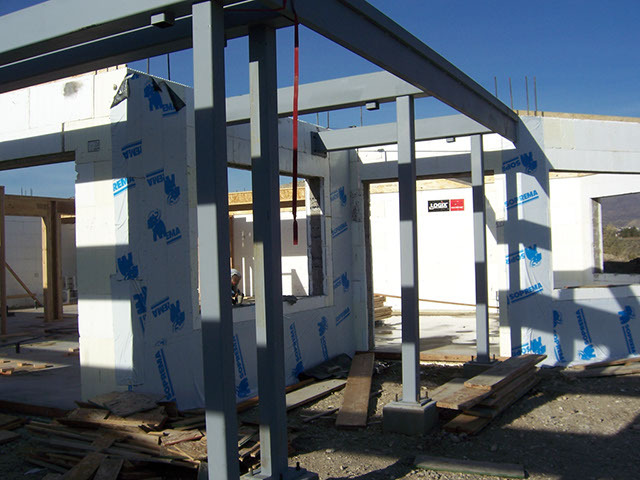 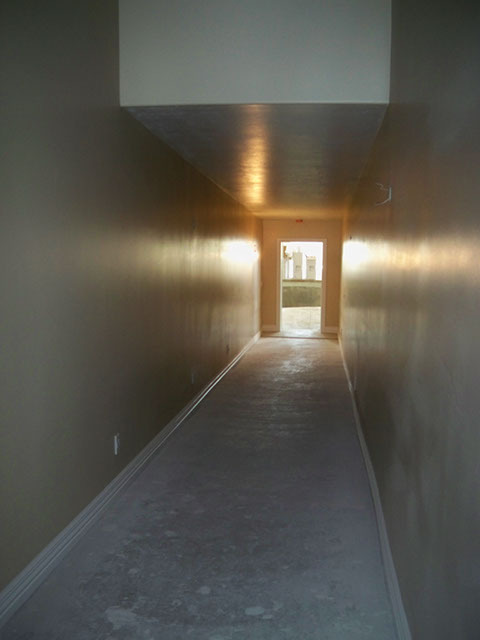 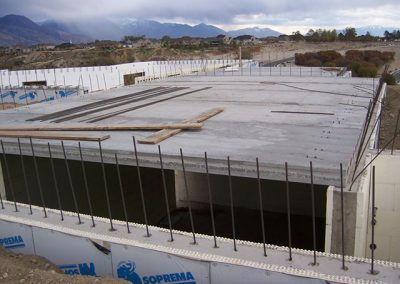 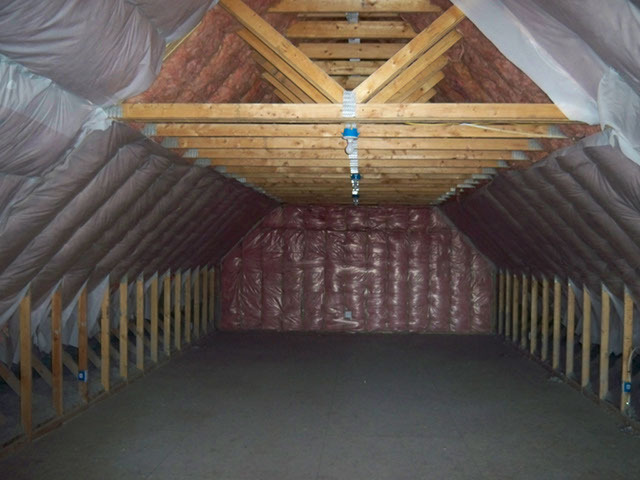 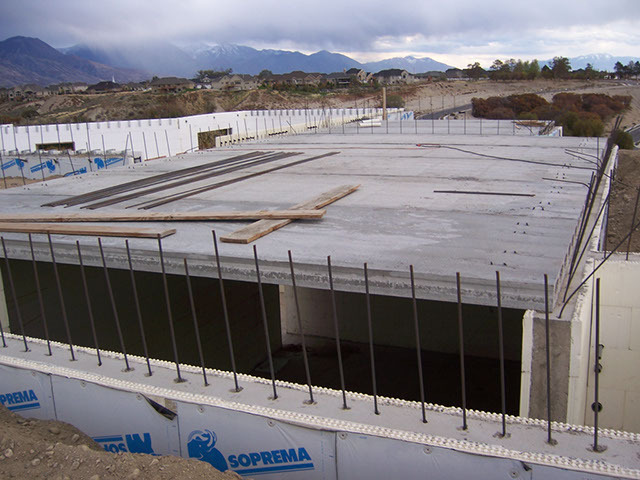 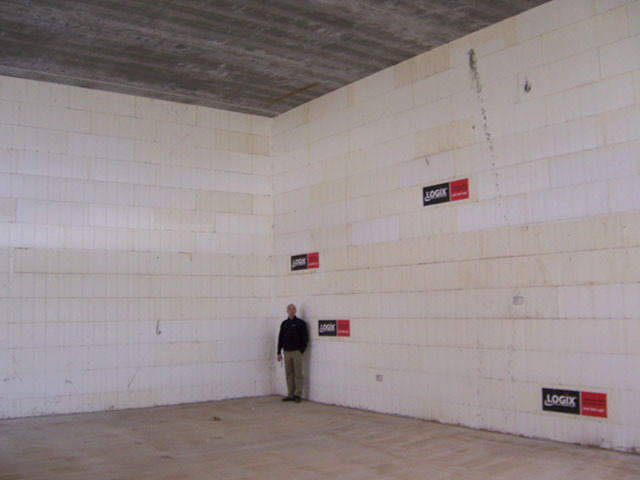 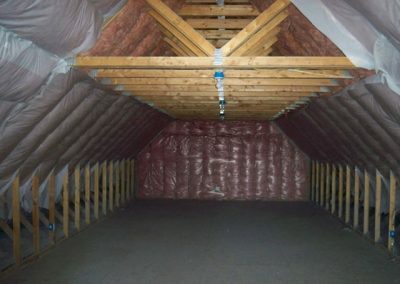 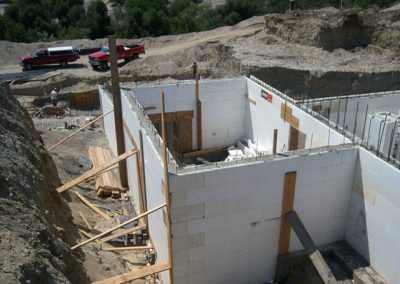 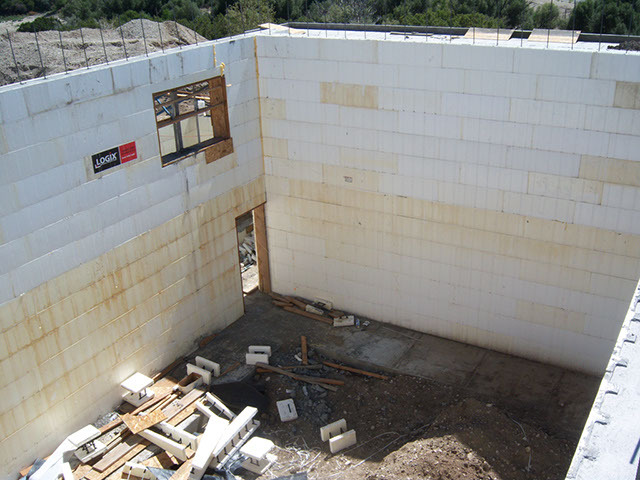 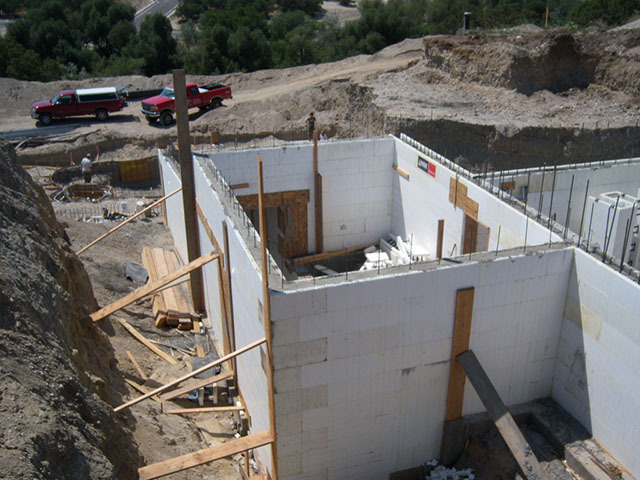 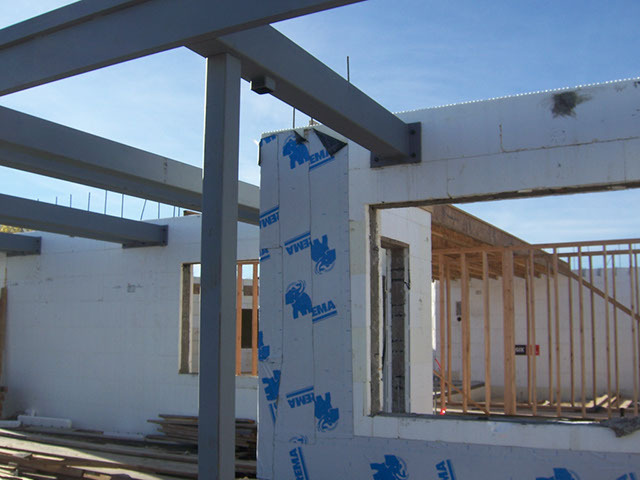 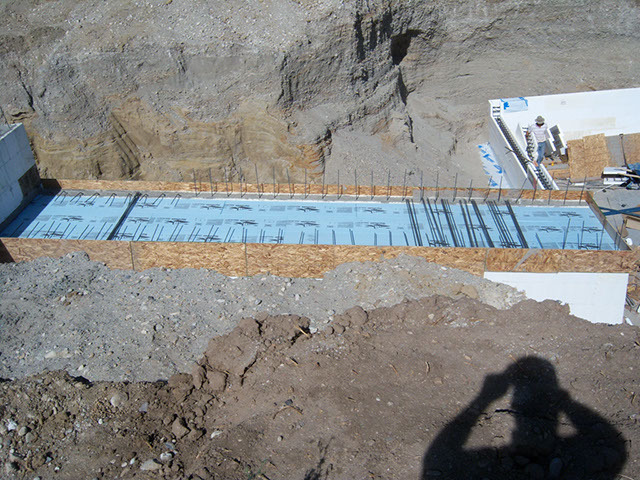 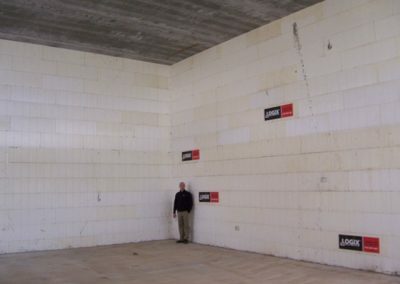 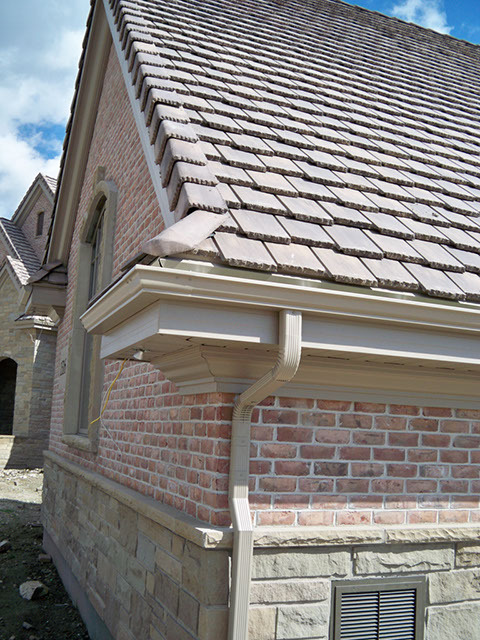 Logix, which supplied the ICFs for the project, used the home in an extensive marketing campaign. 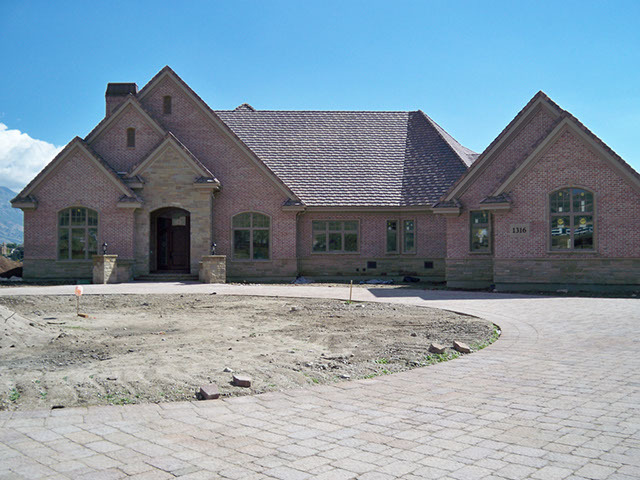 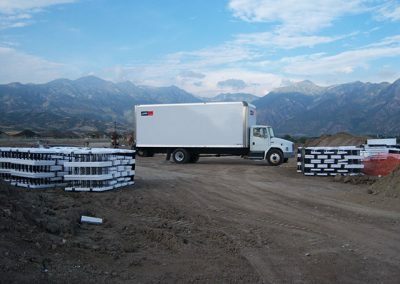 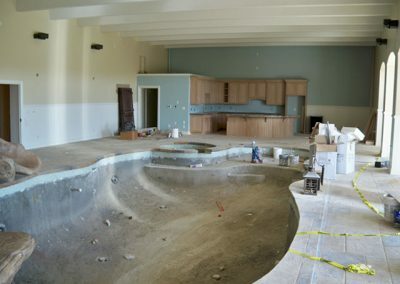 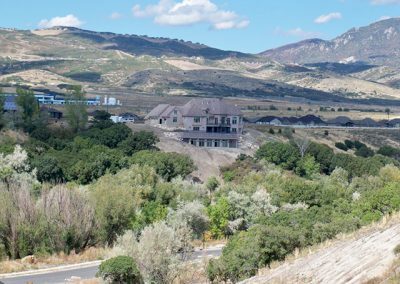 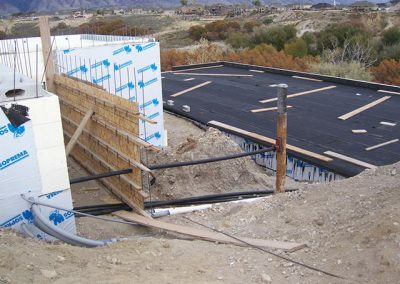 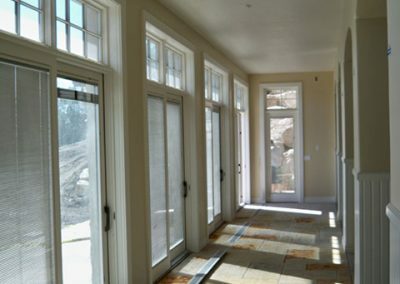 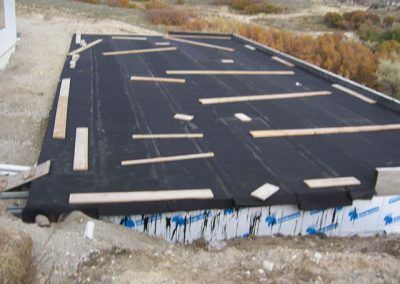 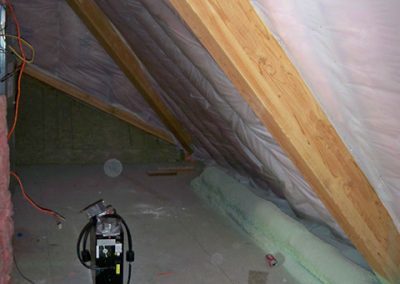 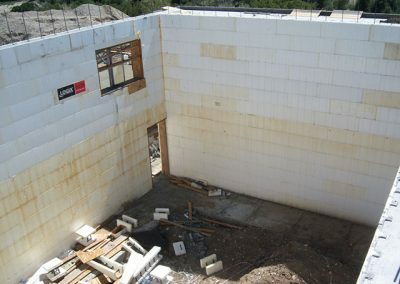 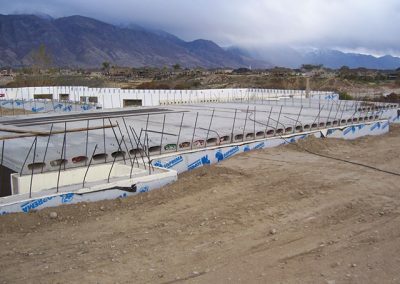 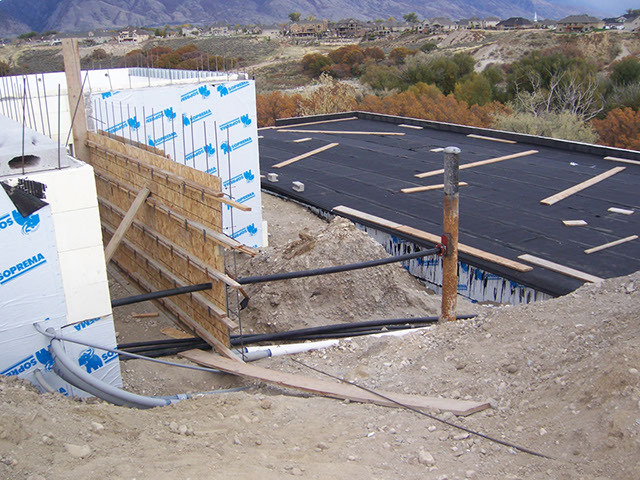 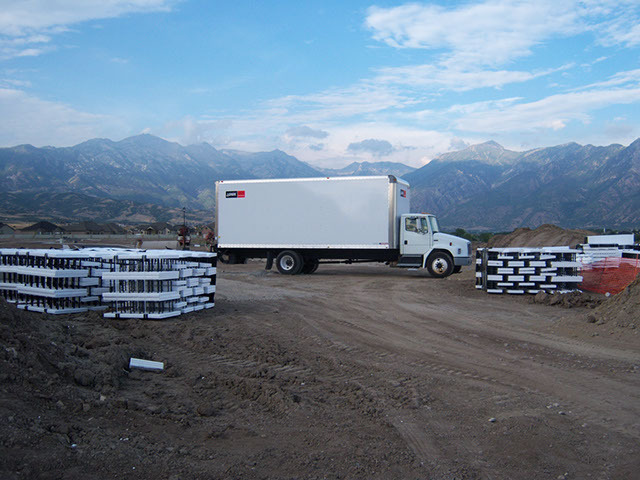 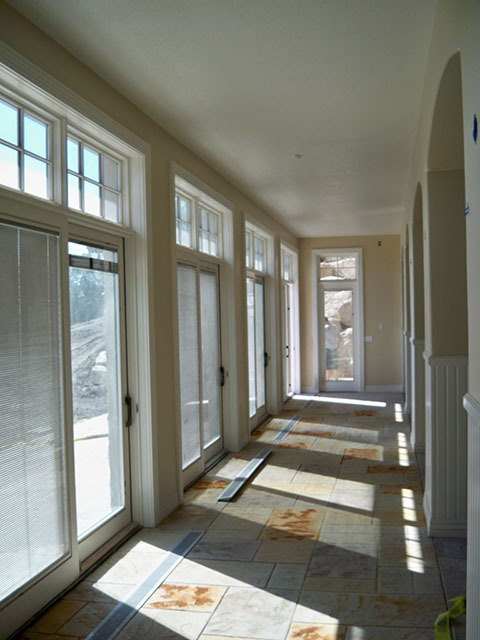 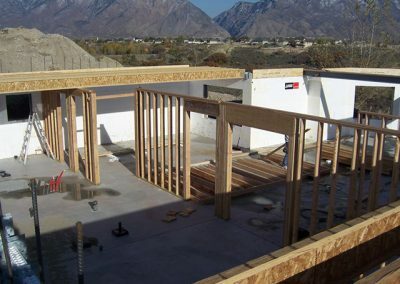 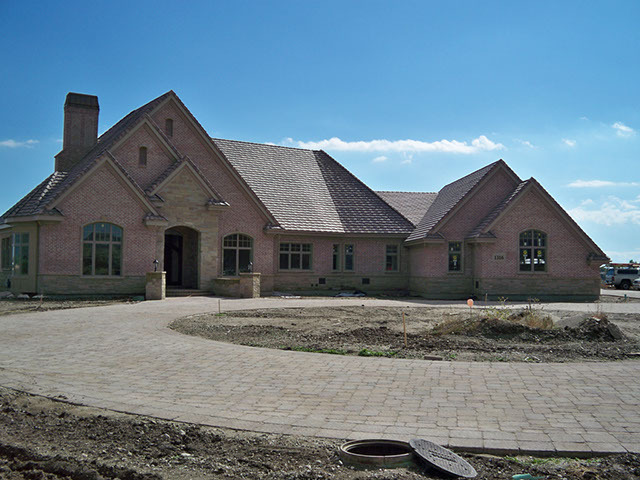 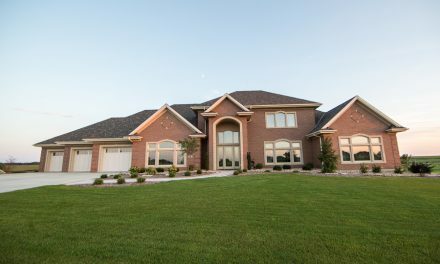 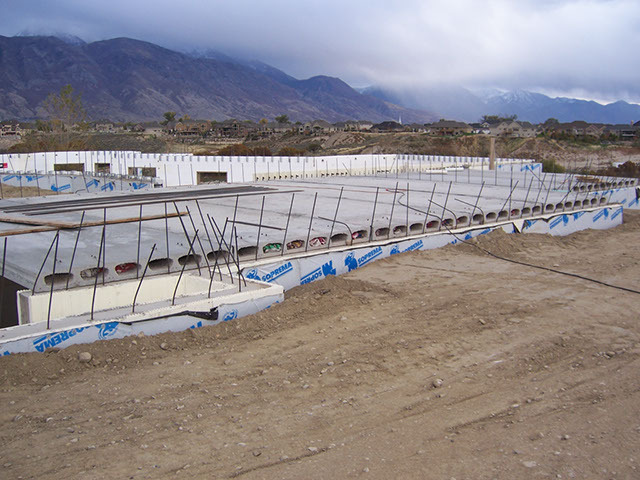 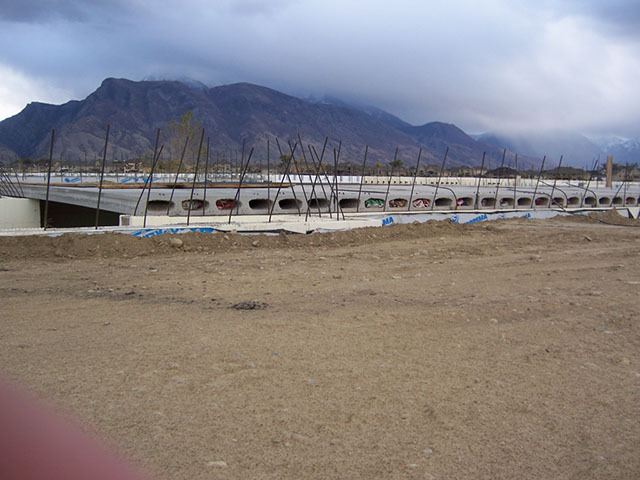 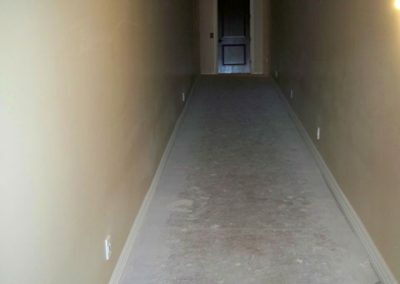 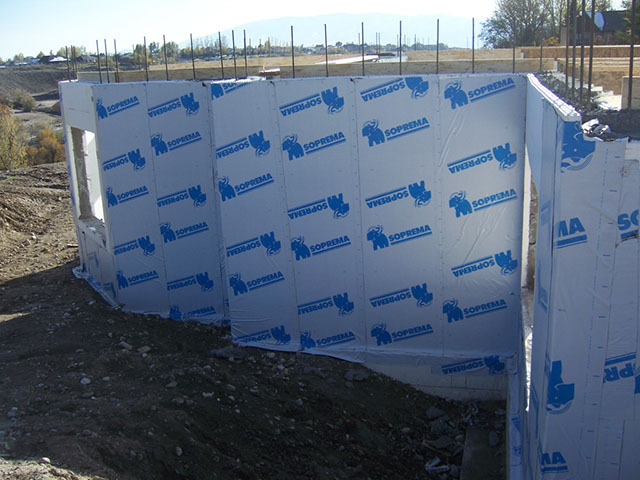 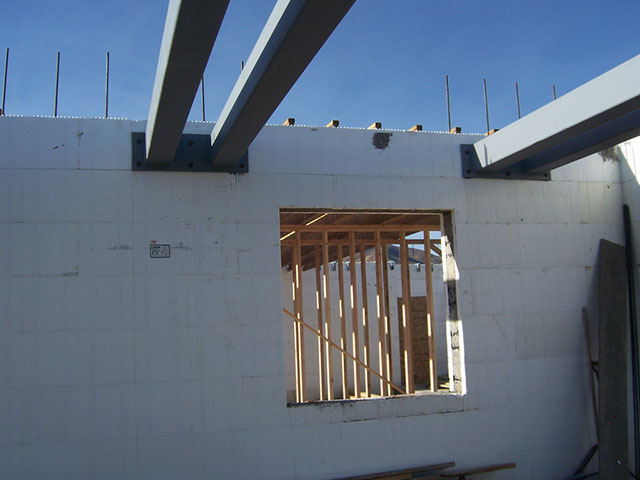 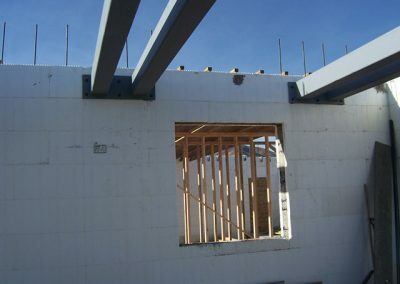 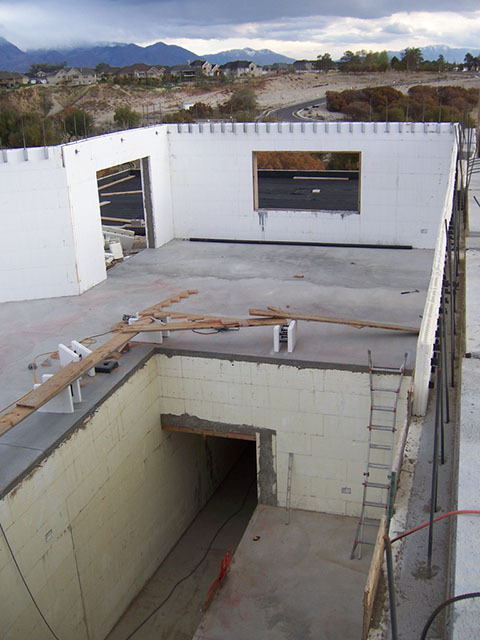 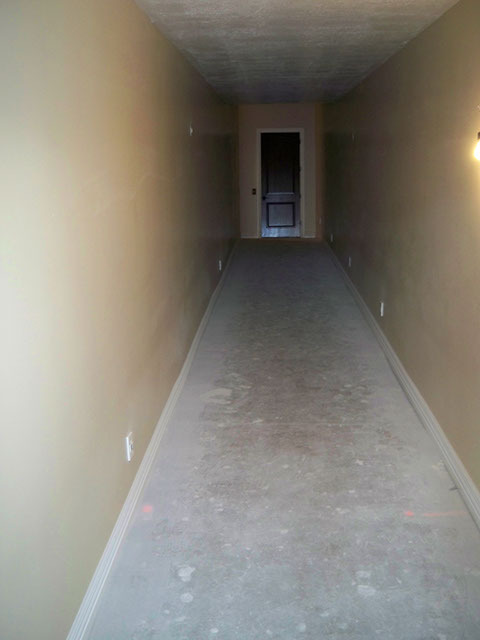 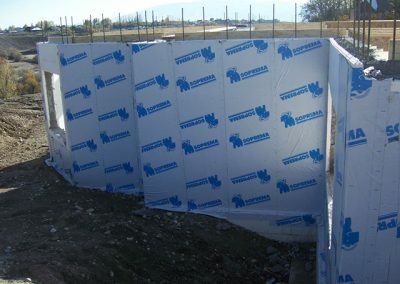 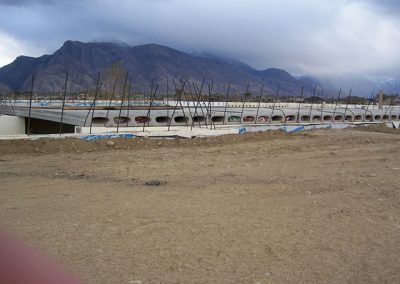 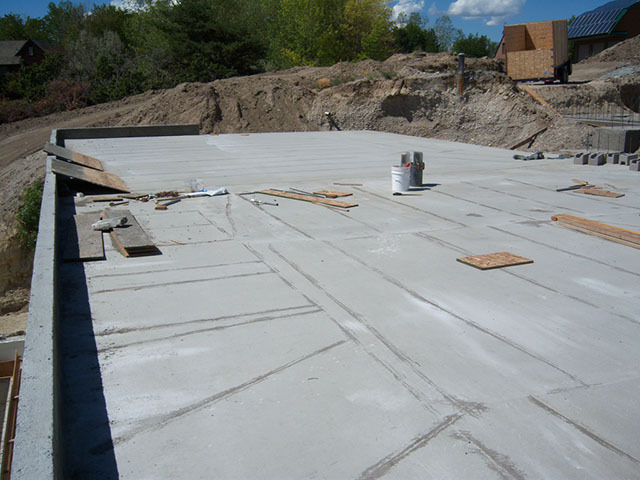 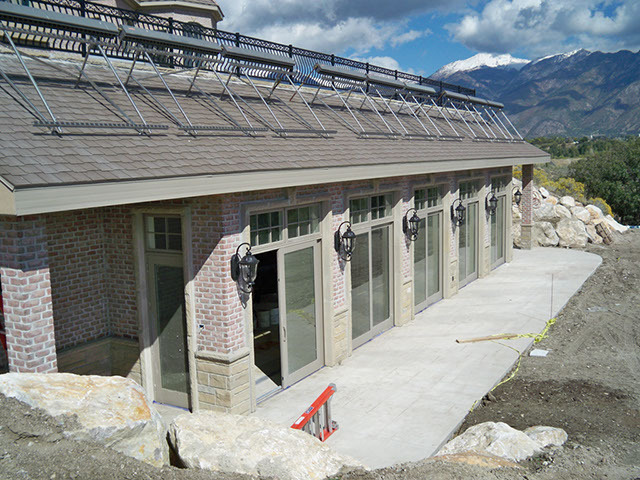 The ICF distributor reports he received four jobs directly related to this project, and the general contractor has gone on to do three other ICF projects.